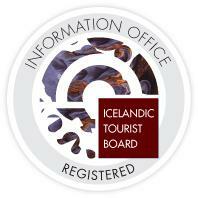 We here at Must See in Iceland want you to experience all the best that Iceland has to offer. That includes our delicious, Icelandic candy that we are so very proud of. We produce a lot of candy. And I mean A LOT! We just love to indulge in various domestic candy pieces, and they more often than not contain our world famous licorice. What we at Must See in Iceland don’t like is when people get ripped off. Especially when it’s so easy to avoid it. So the message of this post is: Don’t buy ridiculously over-priced candy at souvenir shops! We took a stroll around Laugavegur shopping street the other day and discovered something deeply disturbing in one of the many souvenir shops. We checked out the food section, and while there were pretty nice delicacies on sale for reasonable prices, our eyes were quickly grabbed by our beloved Icelandic candy, which had been re-packed and priced through the roof. Before going further, we would like to point out that the photos in this post were taken on the 20th of March 2017. First we saw our lovely Möndlur which had been re-branded as Icelandic Lava Sparks. Möndlur is a pink, toffee-like candy, sold in little pieces that just burst with flavor in your mouth. Until the day we stepped into the aforementioned souvenir shop, I’d always considered Möndlur to be one of the cheapest Icelandic candy you could find. All of the sudden these lava sparks were staring me in the face, costing a whopping 990 ISK for 150 grams, as you can see on the photo on the left below. On the right you can see a photo of a bag of Möndlur at Bónus, the cheapest supermarket in Iceland. Same quantitiy, 150 grams, but costing a measly 215 ISK. That’s a 775 ISK difference, or 360%. Isn’t that just crazy? 990 ISK for a bag of Möndlur. 215 ISK for the same amount of the same candy. But it didn’t stop there. Next, we saw a bag of goodies called Icelandic Puffin Eggs. We read the description and quickly saw that this was just a bag of one of Iceland’s favorite candy, Djúpur. The puffin eggs cost the same as the sparks, 990 ISK for 150 grams. The same quantity in Bónus however just cost 298 ISK. The difference here being 692 ISK or 232%. Say, what?! 990 ISK for puffin eggs. 298 ISK for the Icelandic candy Djúpur (not really puffin eggs). Last, but not least, were the Icelandic Horse Doo Doos, costing, surprise, surprise, 990 ISK. But it’s not really doo doo. It’s another of the most popular goodies in Iceland, Sterkar Djúpur. It’s like the aforementioned Djúpur, only coated in licorice powder. So yummy! And the price tag at Bónus? 249 ISK for 150 grams. The difference here being 741 ISK or almost 298%. Oh, common! Would you buy horse doo doos for 990ISK? What if you could get the same candy for 249 ISK? These numbers made us dizzy and extremely sad, so we had to get out of the souvenir shop pretty quickly. We never thought candy could make us feel this way. Please, do us the favor of shopping your candy in one of the cheaper shops in Iceland, like Bónus or Krónan. Save the difference and have amazing experiences in our wonderful country instead. Because this candy shenanigans is theft in broad daylight! Update at 2.15 PM, 23rd of March: Candy manufacturer Freyja, which produces Möndlur, Djúpur and Sterkar Djúpur has just sent a press release to Must See in Iceland. In it, they state that the candy being sold as Puffin Eggs and Horse Doo Doo is in fact not Djúpur or Sterkar Djúpur, but a similar product manufactured by others. The press released, signed by Pétur Thor Gunnarsson, also states that the Lava Sparks, Möndlur, are bought off Freyja by a third party, re-packed, priced and distributed.